Heavily frosted toetoe (Cortaderia sp.) 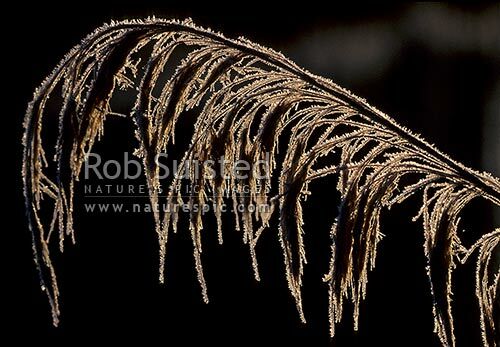 fronds covered in ice crystals in the morning sunlight. Also Toi-toi, toitoi, New Zealand (NZ), stock photo.